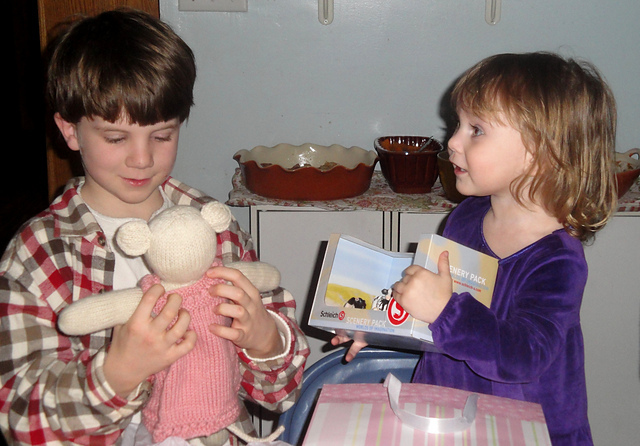 Emma's grandmother knit her a lovely Phoebe Mouse for her recent birthday. 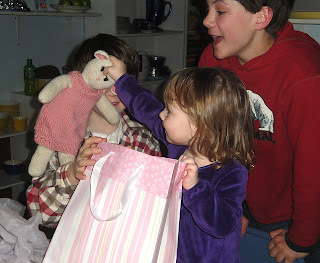 I love the sweet look on her face as she is opening her gift! Emma lives on a North Carolina farm with a farmyard of horses, cows, goats, chicken, dogs and (sometimes) pigs. Louise, who lovingly made her this cute doll, has four grandchildren and one more on the way! I think Emma will have a lot of fun with Phoebe in her big happy family!